Below are the ways to change the DNS on ALL Apple devices including iPad, iPhone, and Apple TV. Click the INFO (arrow) button on your wifi connection and you will see the part that says DNS. ENTER in a new Netflix DNS code into the DNS box and save. Find your wireless network in the list and click it. Click on the DNS and delete the numbers. Choose Ethernet or your WiFi network. Choose Manual, overwrite DNS address and choose Done. 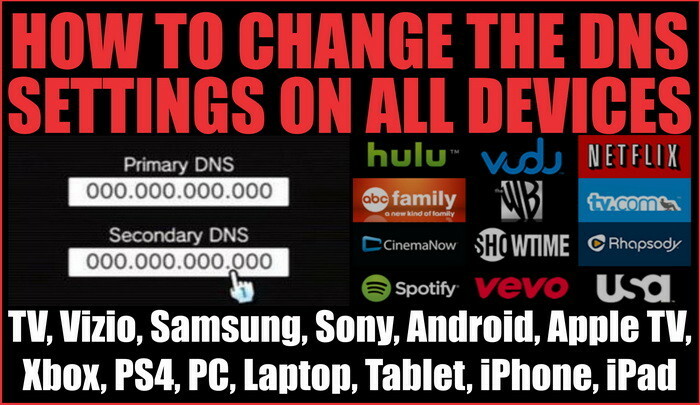 Below are the ways to change the DNS on ALL Televisions such as Samsung, Sony, and Vizio. The TV will show you how it has connected to the internet. The TV will now test the internet connection. Go to DNS settings and input the new DNS address and press OK. The connection will test to see if connected. Press Next to save your settings. Push the VIA button on your television remote. Enter primary and secondary DNS. Select Wired Setup or Wireless Setup depending on how it is connected to your home network. Select Custom and enter the DNS server numbers. Below are the ways to change the DNS on ALL Gaming consoles such as Xbox ONE, 360, PS3, PS4, Wii, and more. Answer Yes, and it will disconnect you from the internet. Keep all settings except the DNS Settings. Save your settings and reboot your PS3. Go to Set up internet connection. Choose your Wi-Fi network and enter password. Change your Primary and Secondary DNS codes. Go to Netflix and TEST. From the Xbox One home screen. Select the box with your DNS address. Edit your primary and secondary DNS servers. Press B to go back, and choose Test Xbox Live Connection. After the test is done then test Netflix. Change Settings and Scroll right to “Auto-Obtain DNS” and select No. Input primary DNS and secondary DNS. Below are ways to change the DNS on a Blu-ray player to watch Netflix. 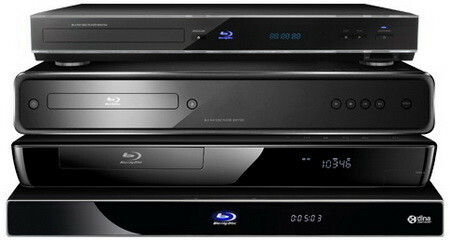 Below are the ways to change the DNS settings on ALL Blu-ray players and more. Select Wired or Wireless depending on your network setup. Change IP setting from Dynamic to Manual. Select Primary DNS and click Edit. Select Secondary DNS and click Edit. Below are the ways to change the DNS on ALL Android devices. Long press your current network then select Modify network. Mark Show advanced options check box. Change IP settings to Static. Add the DNS servers IPs to the DNS 1 and “DNS 2 areas. Reconnect for changes to take effect. Select “Use the following DNS server addresses”. Enter the desired DNS server in the space provided. To add more DNS servers, click Advanced then the DNS tab at top. Click on your “Apple” menu. Go to the “TCP/IP” tab. Enter DNS server IP address. If you are sick of getting new DNS codes each week to watch Netflix, consider using watch USA netflix or getting an Android TV Box. Are we forgetting any device out there that needs the DNS settings changed? Please leave us a comment below and let us know. I have a 32″ Smart LED HD Television, so can you give me the full instructions of how to change my dns and also can I add any more apps on the tv, like YouTube and netflix, can I get any other apps, like a new Internet app? Cab you please tell me the full description of how to change the dns settings on a element smart tv? Which Element TV do you have? What is the model number? Hi there, I just bought a GooBang Doo M8S Plus TV Box from Amazon. It’s android based TV box with remote control. How can I access and change DNS value? Thanks a lot. -Open the Settings on the device. -Long press your current network, then select “Modify network”. -Mark “Show advanced options” check box. -Add the DNS servers IPs to the “DNS 1”, and “DNS 2” fields. -Press “Save” button, disconnect from the network, and reconnect for changes to take effect. ALSO.. There is an application called DNSet that allows you to change the DNS servers used by your device and doesn’t require root privileges. I can’t find an option on my Element smart TV to change the DNS. When I go to network settings and click IP address I can see DNS server IP address but no option to change it. It’s a 40″ smart LED FHD television. Please help! Thanks. When you are in the DNS settings on your Element TV, there should be a Manual Setup option? If so click that and enter in the DNS settings. Hey did you ever find out a way to change the settings? I still can’t find it on my element TV either. Can you please tell me how to change the settings on an element smart tv? You should see a place to change the settings…. Here is a user guide for an ELEMENT SMART TV. What model number TV is your element?